There are kids who are special and set goals for themselves and go after them. These kids are almost always self motivated. They always set the bar high for themselves and more importantly are excuse free. These kids seem to always have the ability to rise above adversity. 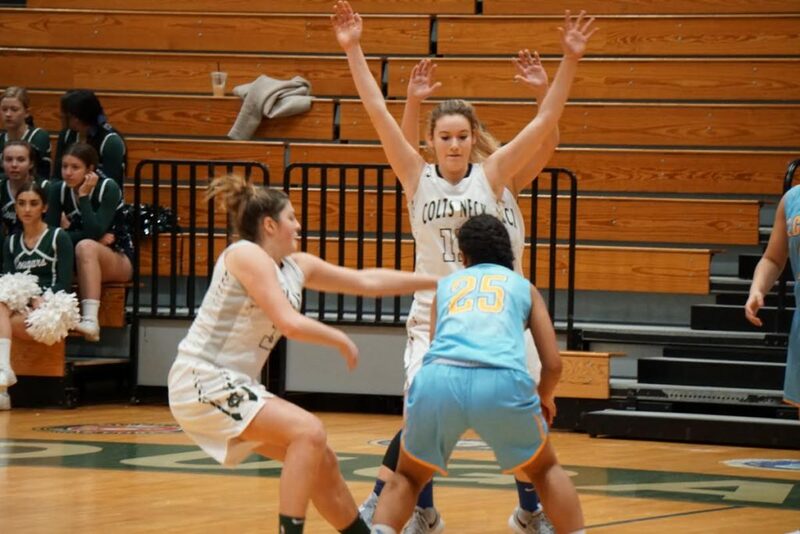 They have an inner drive that simply cannot be put into words…this is why Camryn Foltz is different than any kid I know these days. The term never judge a book by its cover applies to Camryn Foltz more than any kid I may have ever coached. When she showed up at Core Skills as a 8th grader to do training in the Winter, I thought she was going to be a one and done kid. She has this innocent look that makes you think she could not get down and dirty on the court. I tested her that first day, I wanted to see if she could handle being coached hard. To my surprise, she embraced coaching and it’s been that way ever since. Camryn Foltz, is a bit of a perfectionist and always trying to gain an edge on doing something better. This Fall she has been the most impressive shooting guard I have seen in the 2020 class. She has always been an excellent shooter, now she is an elite shooter. 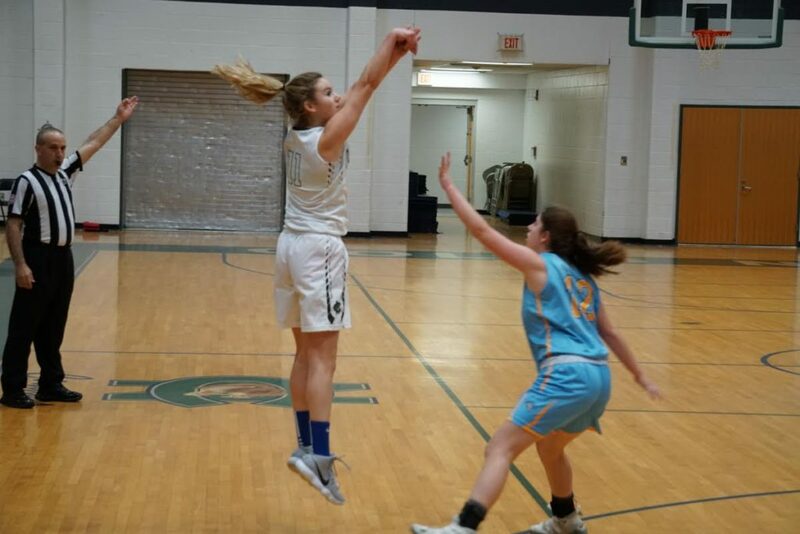 Some may say the best shooter in the shore but she really has become an elite scorer. It’s very rare when a shooter is also a scorer. Camryn Foltz, has become an elite scorer. When Camryn Foltz tore her ACL as a freshman, it seemed to devastate everyone except her. Right after surgery she was doing physical therapy with 100% effort. She approached her PT the way she approaches everything, with a passion to do it better and better. Just weeks after surgery was in the gym doing ball handling everyday in a chair. She asked for drills she could do sitting down. When she could stand without pain, she did shooting drills standing still. This was no surprise to anyone, because Camryn Foltz doesn’t do anything half way. It’s why she has gone from a pure shooter to a player than can get her shot off at any level. She can shoot off the catch or off the bounce, from the three point line or mid range at the rim. . She is a dream shooting guard because her game is so complete. She is no one trick pony, because she also is a top defender and at 6’0″ one of the very best rebounding guards. Oprah Winfrey is rich and has millions, but if Bill Gates woke up Oprah Winfrey rich he would kill himself. You see it all comes down to what your perspective is…1200 on the SAT’s and 3.9 is a good student. If Camryn Foltz woke up with those grades, she would need counseling for the rest of her life. Camryn Foltz is the Bill Gates of academics and why she attends Colts Neck law. That was her goal in high school to be admitted into the prestigious school. Just like every other goal she set, that’s exactly what she did. It’s why she made it back for most of her sophomore season. 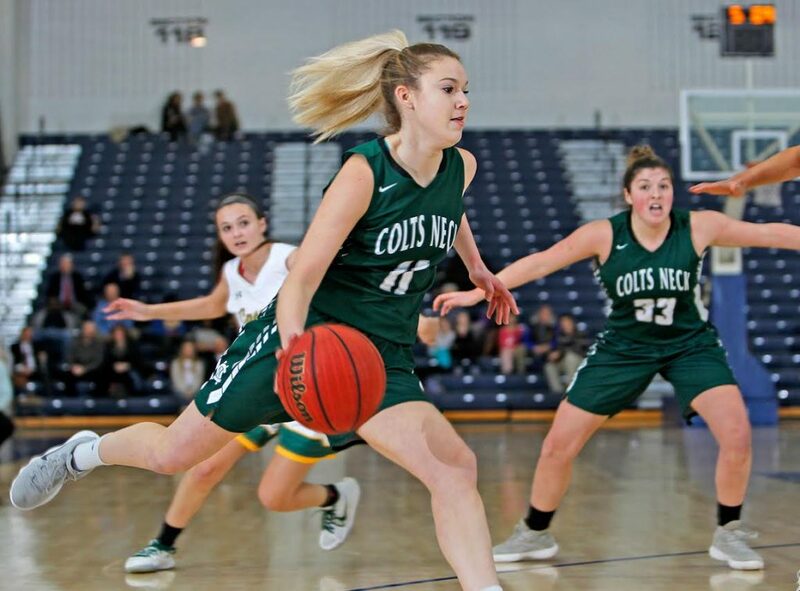 When she sprained her ankle badly and missed the summer recruiting period, you would think she would go into a shell but just like I told you earlier, Camryn Foltz never makes excuses. It’s why she took the time away from basketball to focus on her SAT’s and why she got a score that was like her jumper, off the charts. No kid turns lemons into lemonade any better. In her first AAU game this fall at the Play for a Cure she dropped 25 points. She basically wanted to remind everyone, that it was she who was considered the best incoming freshman in the 2020 class. What is most impressive about Camryn Foltz is that now, she is use to being double and tripled teamed and still manages to get her numbers. What’s most impressive about the tall athletic guard is this, Camryn Foltz does it against the best competition. I have seen her dust off some of the best players in the shore. I watch her at NBS and sometimes I just shake my head in amazement. She does things that make you wonder how she could possibly do the things she does. It makes you wonder what if she didn’t miss a full year of basketball. 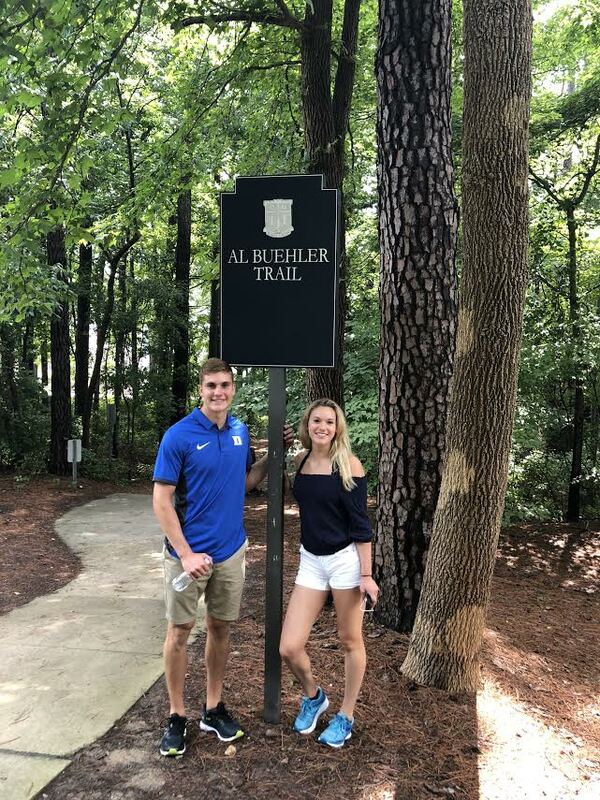 Camryn’s Brother Kyle has set the bar high as a student at Duke…just the way Camryn likes it! I love that Camryn Foltz has so much pride in everything she does. I like a kid who is so young that can have such high standards and goals set for herself. Her brother attends Duke on a track scholarship, so the bar has been set pretty high in the Foltz household. Yet I believe Camryn loves that challenge. Recently a school called me and asked if I thought Camryn would be interested. I was honest and said I don’t think so, two weeks later Mrs. Foltz call and asked me how to tell a school that Camryn was not interested. I told her be honest and thank them but let them know the truth. You see Camryn Foltz is not like other kids. She will be looking not just at a Division one school, but she also will be looking for one of the best and most challenging educations she can receive. There are few kids like Camryn Foltz an elite student and elite basketball player. It’s why the best schools in the country are currently recruiting her….because she only expects the best.